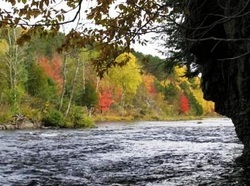 Paint River Hills Campground sits on 36 acres of scenic bluffs along the Paint River in downtown Crystal Falls. Guests are provided with easy access to both the State and County ATV trail systems. The campground features a clean modern shower building, 5 fully insulated sleeping cabins, 10 pull through sites (4 FHU), and 18 RV/tent sites. It offers a half mile, scenic, and unusual hiking trail along the river through cool bluffs, calcite outcroppings, and 140 year old cedars. Multilingual tree identification markers featuring the native Ojibwa language are displayed throughout the campground and along the trail. When the campground was built in 2003 an Ojibwa wigwam was constructed under a large white pine by a local Ojibwa and is the subject of a documentary. The wigwam has since been removed but the documentary is still available from the Hannahville Indian School in Wilson, Michigan. 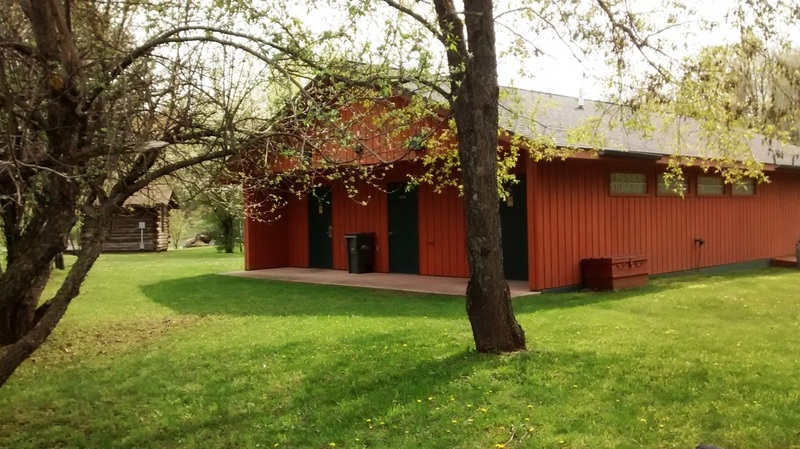 Our service building features clean restrooms with in-floor heat and bright lighting. The hiking trail makes a loop down along the Paint River and back. There are many scenic overlooks and spots to fish. The short wooded road through the campground is also a nice place to stretch your legs. There is no boat access to the Paint River from the campground.